There are parking garages nearby. 6 at Spring Street. N,R at Prince. B,D,F,M at Broadway/Lafayette. Osteria Morini - New York is a authentic rustic Italian restaurant by acclaimed and award winning Chef Michael White and the Altamarea Group. In Italian, “osteria” means a place where the owner “hosts” guests, and at Osteria Morini - New York Chef White continues this tradition of hospitality, transforming his first downtown restaurant into an authentic, old-world osteria with soulful food from the Emilia-Romagna region of Italy. 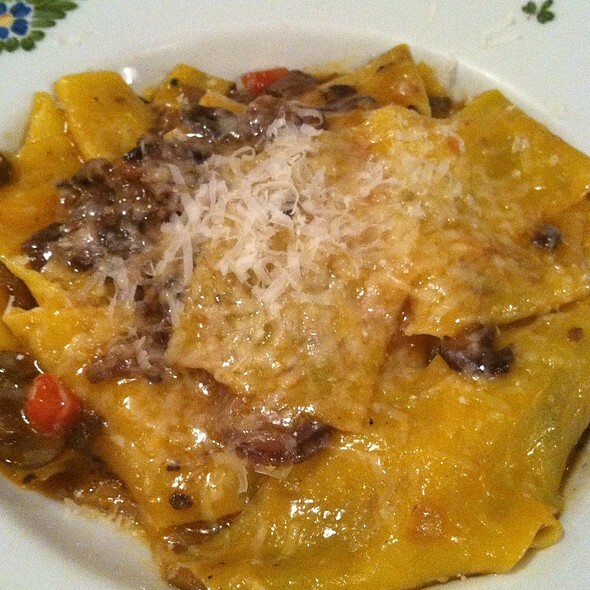 We have been to Osteria Morini many times for the fresh pasta dishes. The pasta is always delicious! We liked the spring cocktails as well, my gin drink was fresh and light. The hostess was very kind and the service was good, although I noticed that we didn’t get bread like all the other tables, which is fine since we had pasta, but it would have been nice to get bread. Service should be even every time. Outstanding meal from start to finish. Susanna provided excellent service and paced our meal perfectly. Mista salad perfectly accompanied the chicken sausage with red cabbage & apples (outstanding dish). We ordered spallina as a mid-course, which was just decadent and the moved on to Barnzino and Swordfish both of whic were expertly prepared. 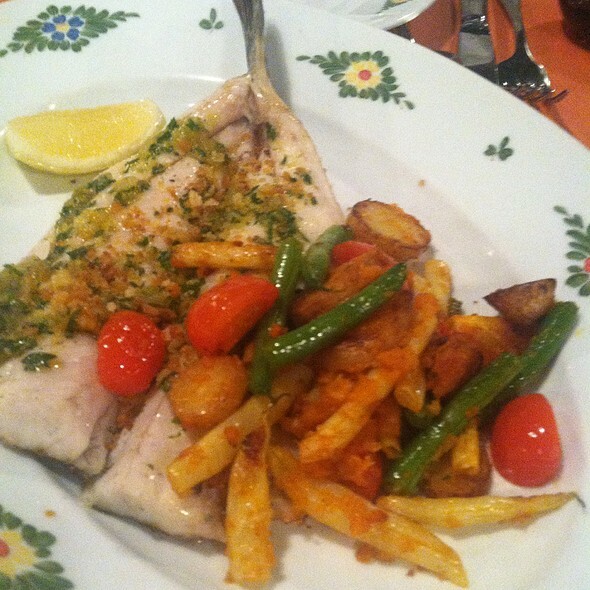 Swordfish was just amazingly prepared and is my new benchmark. Morini is simply the best. And somehow always improving. Great food at reasonable prices! Spacious tables and attentive service. Restaurant noise can get loud but doesn’t take away from the overall experience. Went for brunch and loved it! Food was delicious, wait staff was pleasant and professional and we never felt rushed. Not coming back here. Service was very poor for the price. For anyone reading this, your local Italian Bistro likely provides an equivalent experience at a fraction of the price, stick what that. Late date on a Sunday and the staff was extremely accommodating. Everything we had over the course of the dinner was spot on and the wine they suggested worked absolute wonders. Osteria Morini has always had a special place in my heart, but this visit has me thinking this could be one of the best Italian restaurants in NYC. Thanks to the chef and hospitality staff for a unforgettable evening. Always excellent. I go every time I’m in New York. Incredible meatballs, wonderful wine, every single thing about this place was above average. Highly recommend. very good italian reataurant. great choice of wine and the pasta was amazing! a bit noisy..
definitively check out this place! With all of the great restaurants in NYC, I would not recommend this one. The food is passable but overpriced. The duck pate was good, the bread was chewy and hard. The gnocchi were very hard and chewy, whereas good handmade gnocchi should melt in your mouth. Pasta with seafood was harder than al dente and sauce was too chunky. It missed the key point of Italian flavors and is overpriced for the quality. Terrible service, so so food this particular time but last time it was excellent. We were in no hurry so we didn't mind waiting for our server to show up. When he finally arrived he asked us immediately what we wanted then for some reason looked straight up at the ceiling. When he looked back down the person in our party who had answered had to repeat the order because the server was not paying attention. He never read us the specials, he was asked politely to not pour the wine from the carafe but willfully did so anyway, he didn't bring the bread and later didn't ask us about dessert. We had been here before and it was wonderful. Service,food etc. Some how the pastas we had were not as good as we had remembered them. Not a deal killer. I'd give them a pass on that because everyone has a bad day but since there is no way would I take a chance on getting the wacky waiter again, we won't be going back. Delicious pasta and service was very attentive and helpful when selecting wine and menu options ! Even though it was crowded on a Thursday night, service was quick! Also been to the location in Washington DC and the New York location has a more authentic Italian feel! Everything was delicious! 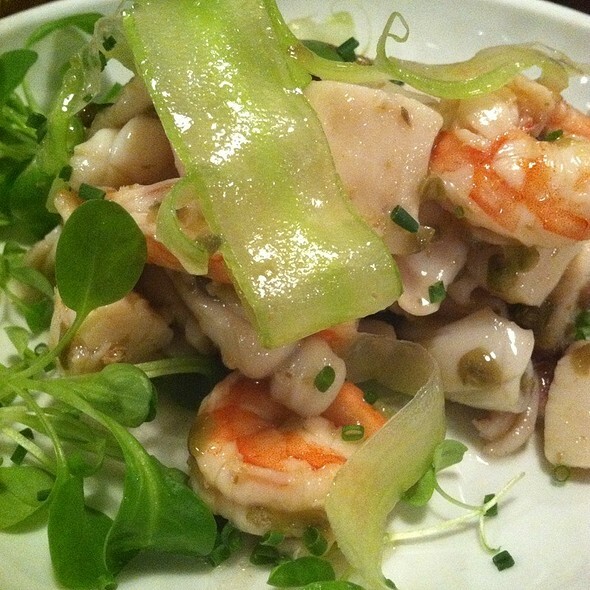 Especially the braised octopus appetizer. It was a little hard to hear my friend across the table, but overall great food, helpful waitstaff and a nice restaurant. Love this place. It's pricey but the food is well worth it! Surprised to some extent. A very nice upscale place with decent Italian food. 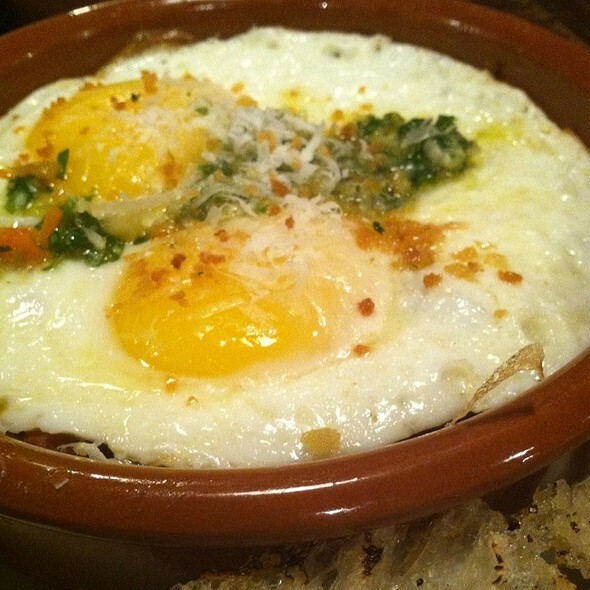 I’ve been to Osteria Morini about 10 times and have had an amazing meal every single time. Will definitely be back again! This couple tries to visit this little Osteria at least twice per year (its a bit farther from home than most our choices) and we are never disappointed. Over the last 8 years it has maintain a high level of quality in every category. We have never made a bad choice (except perhaps having eyes bigger than our appetite). See you in a few months. Came for lunch, service was prompt, we finished eating and got the check within 50 minutes. Restaurant started fill up more after 12:30p. We had the lunch special which was $29 for an appetizer +pasta or panini. Tolles Essen, schöne Atmosphäre - gerade, wenn man mit Freunden zwanglos Essen gehen möchte! Herausragender Service! One of my faves for Italian! 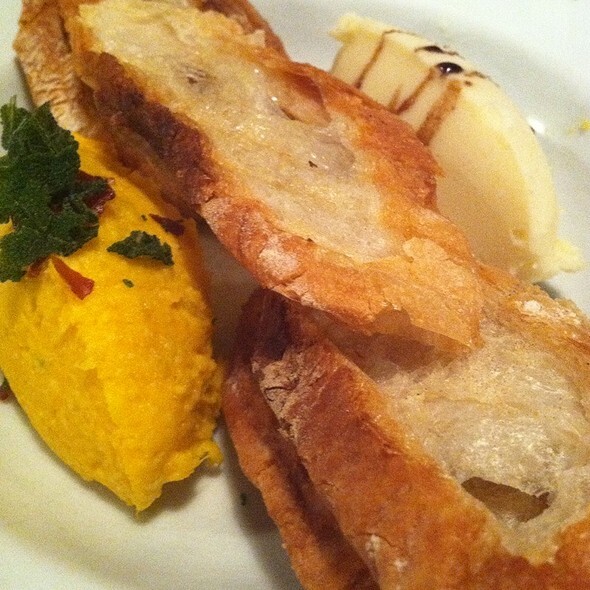 Whenevee in NY we visit Osteria Morini and it is always fantastic ! Food was very good, as always. I find limited wine options in the not so pricey range. I am not on an expense account so I have a hard time spending over $60 for a bottle and there aren’t many on the list at the lower price point. To the waiter’s credit he suggested a very nice bottle for $65. Love this restaurant. The food is consistently delicious. The pastas are outstanding. The squid ink pasta and shrimp ragu is amazing! Restaurant empty besides two other tables, asked for a banquette and was told it was “reserved”. As we dined we noticed these tables were never sat and ended up being cleared for employee meal...server never brought lemons, asked 3 times, busser finally brought them. Very slow, inattentive service throughout, had to flag people down for anything. Food was good. Love this place! 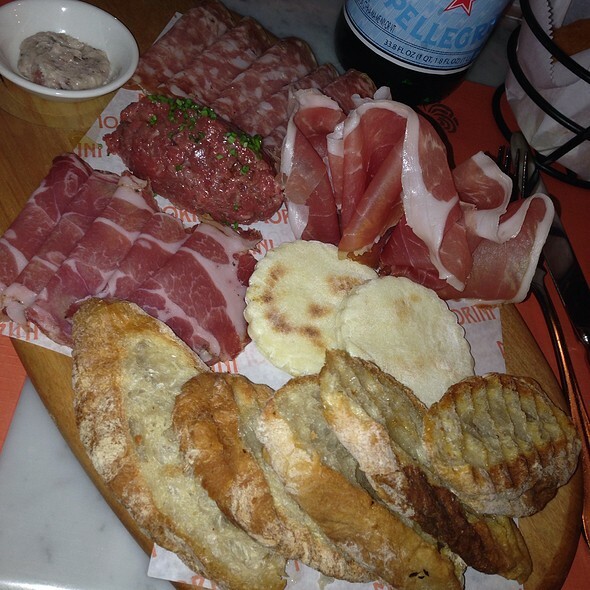 We ordered the Batilardo - we picked prosciutto, pork rillett and squaccerone (a soft cows milk cheese). Came with some nice crusty bread and little biscuits - liked this very much. We also had the polpettine, which were also very good. 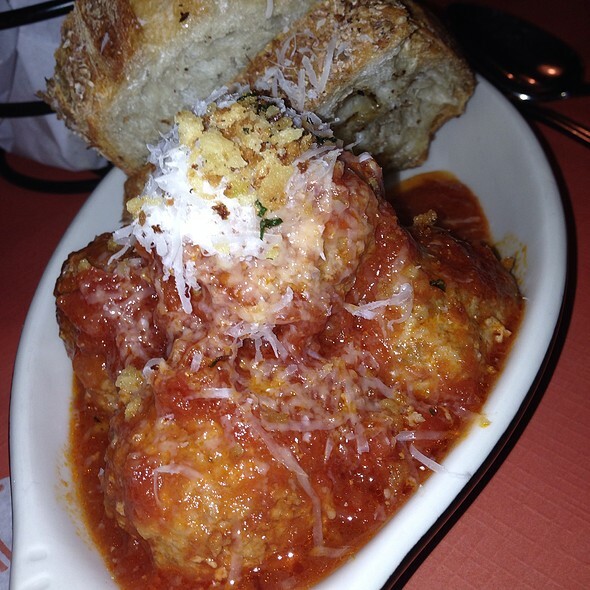 Coming from an Italian family, I’m very picky about meatballs, and these were delicious - moist and tasty. The braised octopus over polenta was good, but I wish it came with more polenta. 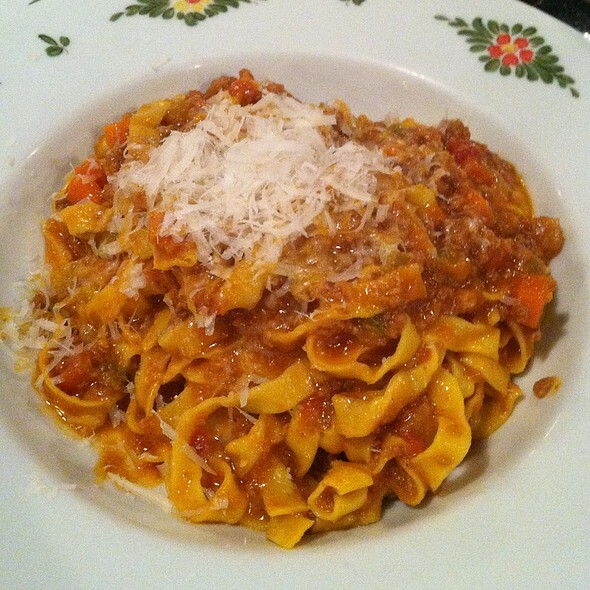 The fusilli with pork ragu was very tasty - homemade pasta cooked al Dente, the way I like it. I highly recommend Osteria Morini. Food was out of this world, service was amazing, drinks were great. Nice selections on the menu for lunch. The $29 prix fixe was good and worth it. The pork sandwich was rich tasting and filling (in a good way). I'd go back soon. Remember me from a previous visit which I thought was very thoughtful!! Great place to eat in New York!! The food was the centerpiece of this experience. Love the appetizers and the entrees. Their gnocchi was to die for, wine listing was pretty extensive but expensive— so look for the prices before you order. First time in this restaurant and wish to be in NYC more often, I’d like to go back. Food was unreal. Amazing stick to the ribs kind of meal. My girlfriend and I did not skimp on our ordering and we were pleased with every aspect from taste, to presentation, to price. Truly a gem of a restaurant. Will be coming back with friends and family soon! Amazing restaurant!! Definitely recommend it. 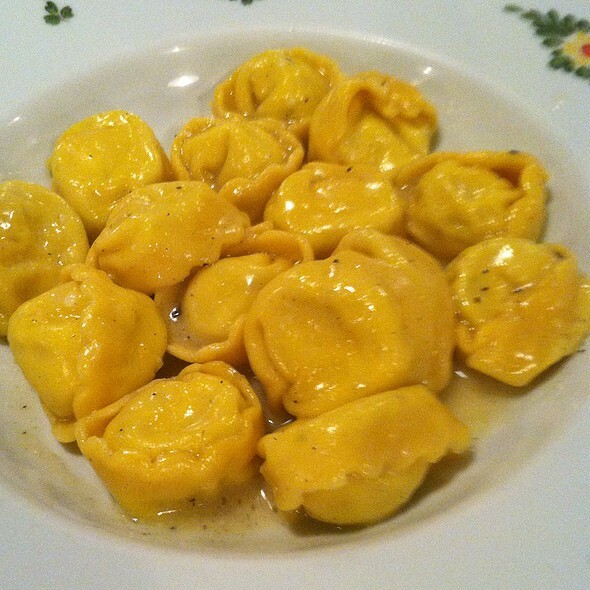 The Cappelletti pasta was so great, my girlfriend and I came back the next day. Great food and service. Dessert was just ok. Exceptional service, waiters were extremely attentive and accommodating. Food was incredible and ambience was fun. Always enjoy the food, cocktails and ambiance. One of our go to’s!